Will Disabled Add-ons Slow Down XenForo? 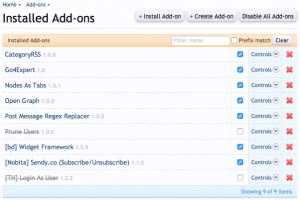 Should One Uninstall Disabled Add-ons? An answer to the question: Will disabled add-ons slow down XenForo user experience and why should one delete disabled add-ons PHP and JS files in XenForo.